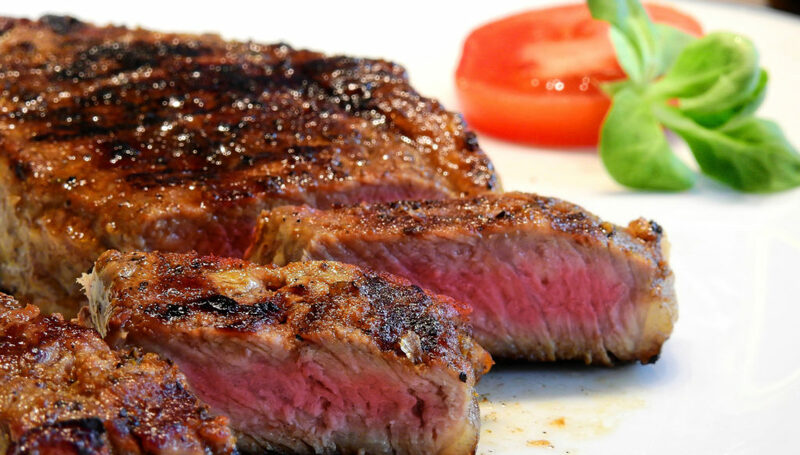 Very lean cuts like New York strips and sirloin steaks can benefit from a marinade. Choose a recipe that doesn’t mask the flavor of the beef but will enhance the moisture content. For safe handling, always marinate in the refrigerator. Another way to tenderize is to coat a thawed steak with your favorite rub; put it into a plastic zipper bag; place on a solid surface; and, using a meat mallet, rolling pin, or other hard object; pound a few times. This will not only tenderize the meat, but will also incorporate the rub, adding flavor. Don’t go overboard and flatten the beef unless the recipe calls for it.